Not 47’s most thrilling hit, but a potentially excellent sandbox. 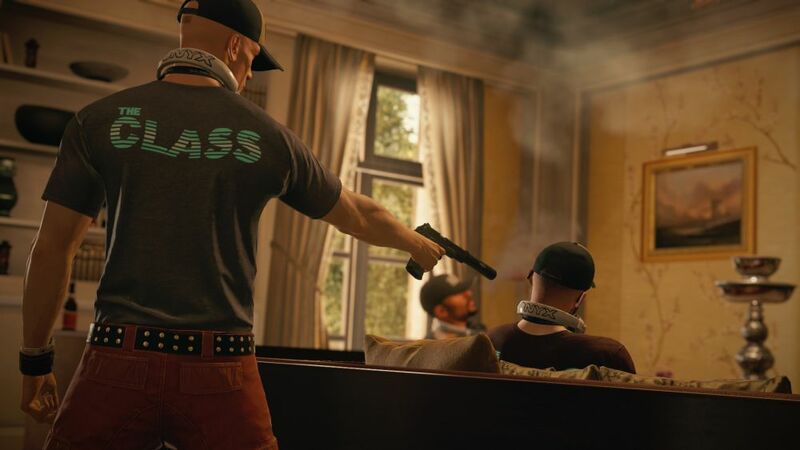 It’s already becoming pretty damn clear that Hitman, this year’s simply-titled entry in IO Interactive’s long-standing murder sandbox series, is rather good. It had a rocky pre-launch period full of confusion, but its first episode left us convinced of the game’s potential. By the time I checked back in with the game at its halfway point last month just after E3, I was sold that this was potential all-time classic. With continued solid support, this could even overshadow Blood Money, Hitman’s best. Episode 4 is now here – so how does that stack up? This latest episode takes Agent 47 to Bangkok and puts two targets in his sights: a young rock star who murdered his actress girlfriend by pushing her from the roof of a penthouse suite to fall to her death, and the family friend who acts as his ‘fixer’ – AKA the man who helped to cover up the murder. This level offers up a fairly classic location and scenario for an assassination: a sprawling hotel with several floors for guests, off-limits staff areas including a fully-stocked kitchen and of course some outside areas. This lends itself to a good selection of potential disguises too: 47 can dress up as a bellboy, kitchen staff, garden staff, security guards and other such influential folk in the hotel. The hotel setting provides an interesting take on a Hitman level as yet unseen in this iteration. The level layout of one large building surrounded by some outside areas somewhat resembles the mansion in Paris, but the inherent structure of a hotel changes things up significantly. It’s split into two different wings that are designed fairly uniformly, lots of smaller individual guest rooms locked with key cards that can be obtained by taking down various people around the hotel. 47 himself even has a room of his own should you choose to check in. The familiarity to Paris isn’t necessarily a bad thing, as Paris is a fine level. The actual mission that takes place in this space feels like one of the less immediately exciting ones in this year’s Hitman offering, but with its multiple layers of security and many locked rooms the level itself seems like it’ll lend itself well to the alternative ways of playing such as escalation contracts and elusive targets. The highlight of the level is hidden away upstairs, much as with Paris’ auction shenanigans. Upstairs the rock star murderer is recording his new album across a series of suites, and there’s a number of interesting ways to get up there and once you arrive some great acts of sabotage you can commit. My favourite involved dressing up as the replacement session drummer, who the rocker had yet to meet. It turns out 47 can play the drums, and does, before exacting a very appropriate hit. You get the idea. The second target is less interesting, as he hovers around the hotel bar and is fairly easy to pick off with typical methods. 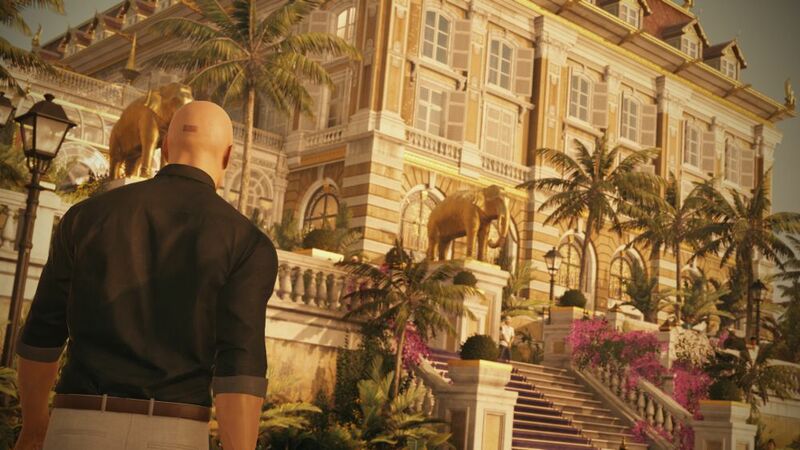 Being a hotel much of it is open to the public, so compared to Sapienza and Marrakesh this level is much more about finding smart ways to draw your target away or take them out unnoticed than it is about donning disguises to slip through security. It’s a fun little mission, but the potential of the level to grow as every Hitman level has with additional content is actually more interesting than the core story mission to take down the rock star and his fixer. Bangkok is a fine level but is also no Sapienza – though comparing to that level, perhaps the finest in the series, may well be a touch unfair. Other bothersome things linger from previous levels, such as the same handful of voice actors making yet another appearance. It really makes makes 47’s globe-trotting adventures feel a little less grandiose. That British-accented woman is bloody everywhere, it seems. I wish Bangkok’s actual mission had a little more about it, especially after a few recent Elusive targets have made such a fine job of adding additional wrinkles to difficult assassinations. One can’t help but feel like this is a run-of-the-mill mission for 47, but the location where it takes place has the necessary quality – and I look forward to seeing how it gets used as a sandbox in future live updates to the game.